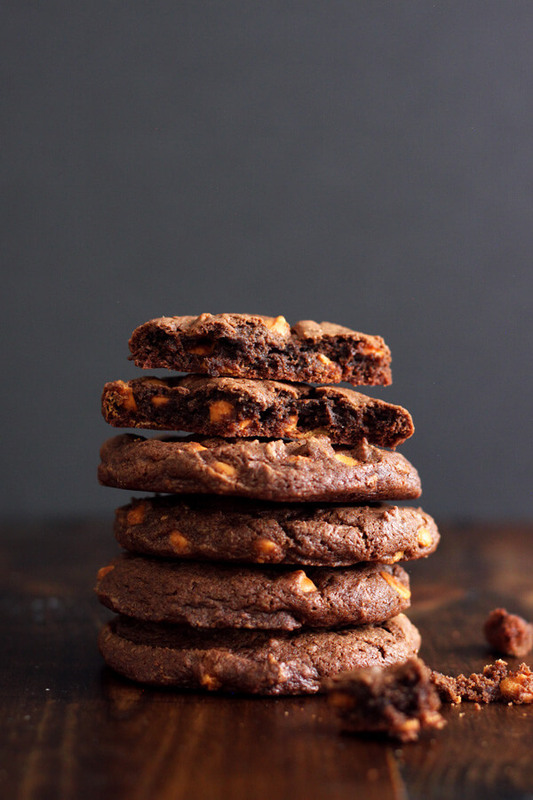 Chocolate Butterscotch Chip Cookies have just the right amount of sweet and salty. 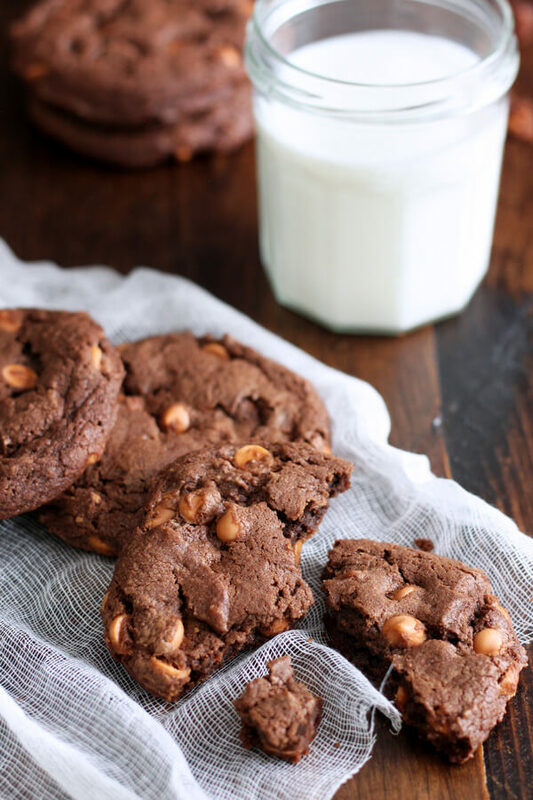 The cookies themselves are satisfyingly chocolaty, a must try for chocolate and butterscotch lovers alike. Do you like baking with chips? 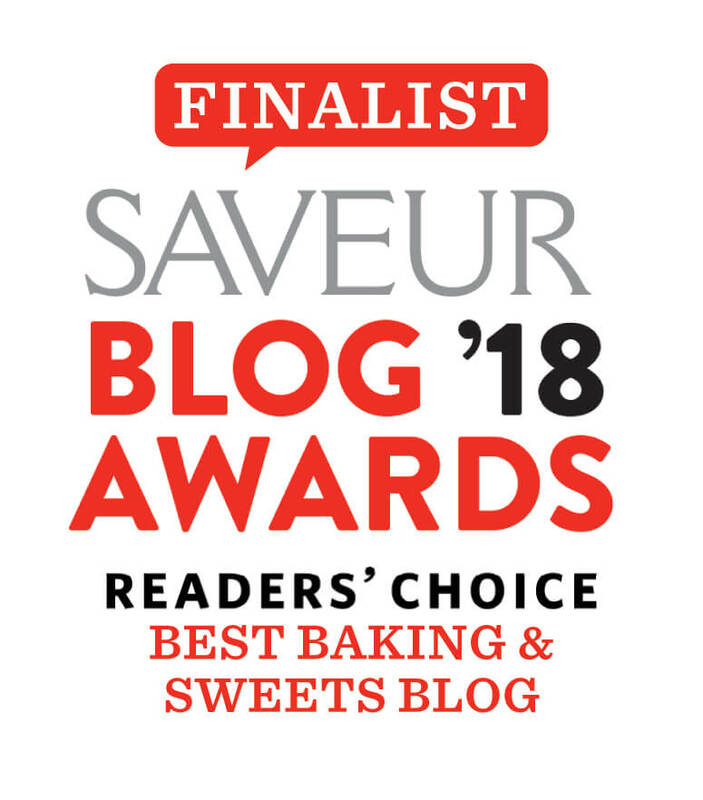 I think it is such a fun and easy way to change up a favorite cookie recipe and create something entirely different in just a flick of the spatula. I saw these Guittard Butterscotch Chips at the grocery store one day and just snatched them up before I even know what to do with them. 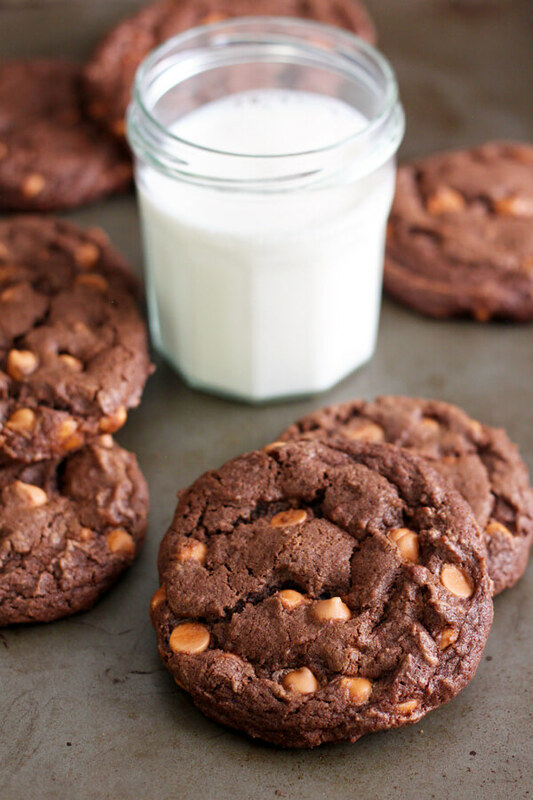 Once I got them home though, it was very clear that they needed to go into these Chocolate Butterscotch Chip Cookies. Because obviously, chocolate goes with everything! The recipe instruction calls for a stand mixer with the paddle attachment. But if you don’t own a stand mixer, a regular hand mixer will work just fine. However, when you mix in the butterscotch chips, just use a spatula or wooden spoon and fold them into the batter. Otherwise, the blades on the hand mixer will chop up the chips. I like to pre-portion the cookie dough with a large ice cream scoop before I refrigerate because it is much quicker and easier to do this when the dough is still soft. The pre-portioned cookie dough also freezes well in a parchment paper lined, air tight container. To bake frozen dough, let thaw at room temperature until soften first, and bake as normal. One thing I would note when baking with chips is that I try to buy the best quality chips available to me, ones that I wouldn’t mind snacking on in a homemade trail mix for example. This is a similar concept as baking with chocolate or cooking with wine. 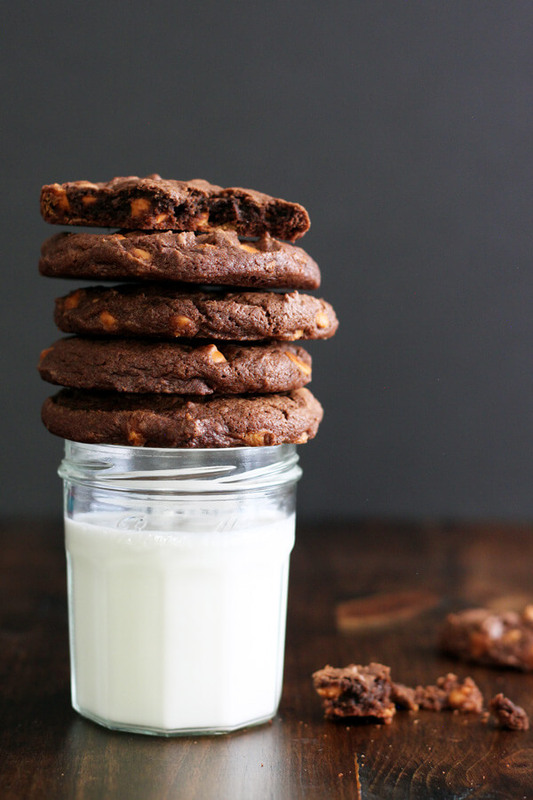 It makes sense as the chips in your cookies are always sitting front and center in every single bites. 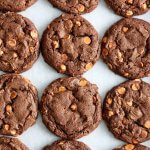 So have fun with all the chips, and make some Chocolate Butterscotch Chip Cookies to start. Melt the butter over medium low heat in a small sauce pan. Let cool to room temperature. Meanwhile, sift or mix together flour, cocoa powder, salt, baking soda and baking powder in a medium bowl. In a small measuring cup, add the eggs, milk and vanilla extract, whisk together. Set aside. Add the cool butter and sugar in a stand mixer mixing bowl and beat with a paddle attachment on medium speed until fluffy and lighten in color, about 2 minutes. Add the egg mixture to the butter/sugar mixture and beat another 2 minutes. Lower the mixer speed and gradually add the flour mixture, scraping the side and bottom of the bowl as necessary. Once all the flour is incorporated, turn the mixer speed to stir and add the butterscotch chips, mix until the chips are evenly distributed. Use a large ice cream scoop (about 2 ounces in size) to portion cookie dough onto a parchment paper lined baking sheet or large container. Cover and refrigerate for at least 1 hour. Place already portioned cookie dough onto a parchment paper lined baking sheet, spacing 1” - 2” apart. Bake for 15 minutes, in multiple batches, in the middle of the oven. Let cool on the baking sheet for 5 minutes then transfer with a spatula to cool on a wire rack. 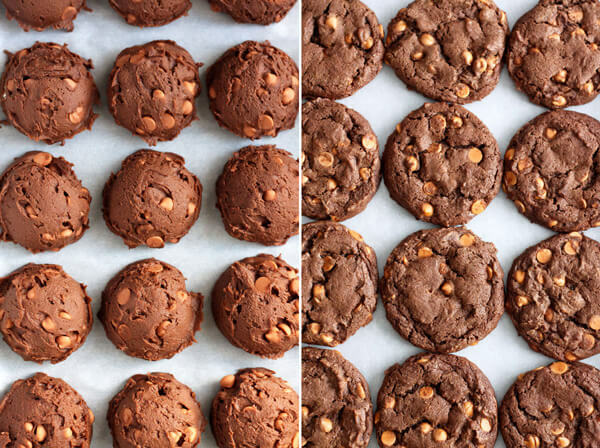 My two favorite flavors in a cookie – butterscotch and chocolate! This cookie monster is in heaven!